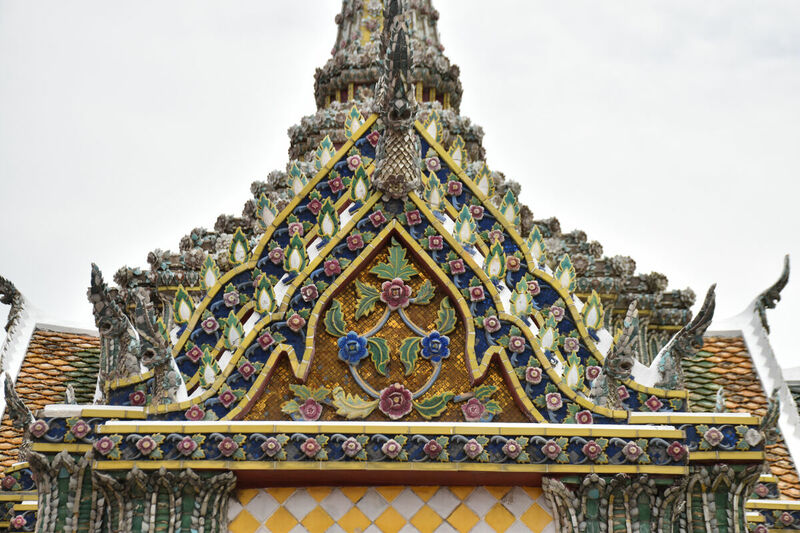 Bangkok was the starting point to our Thailand vacation in June this year. As a bustling city, there are many things to see and do. 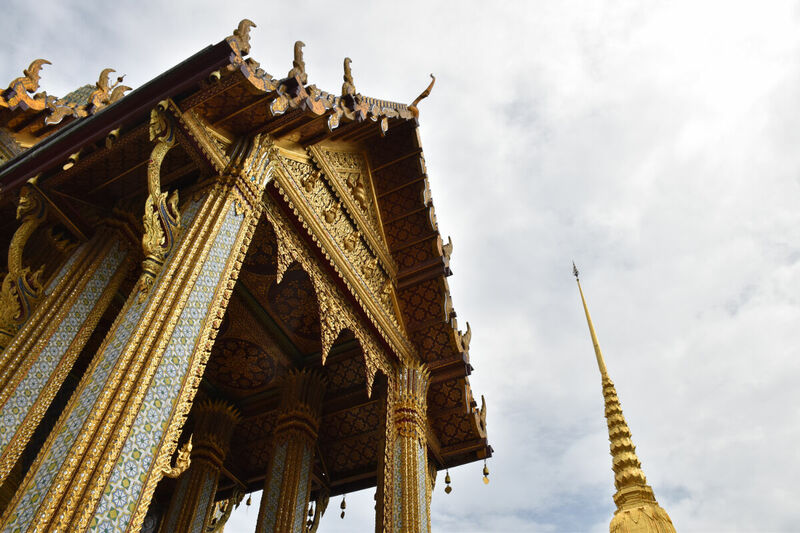 Here’s my take on how to spend a day in Thailand’s capital. Morning: Start the day with a hearty breakfast. 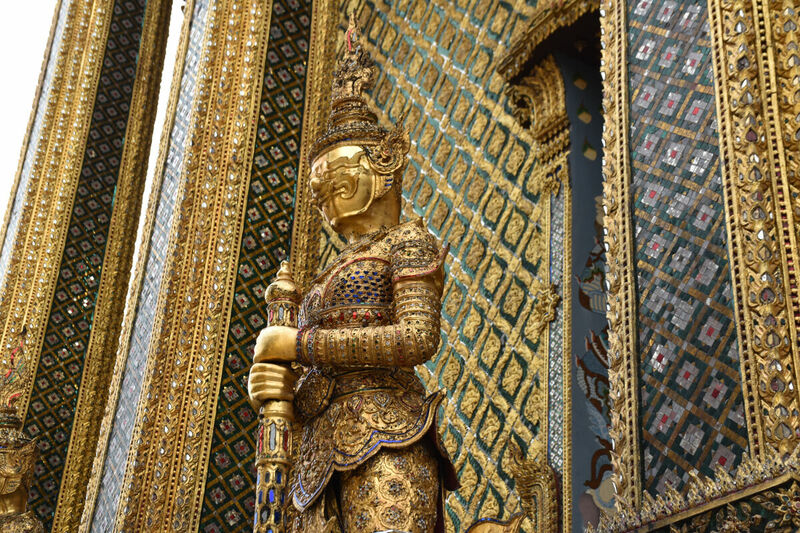 We stayed at Anantara Sathorn Bangkok Hotel, where a sumptuous breakfast was served. Multiple stations offered themed cuisines, so I tried a few options. A heavenly Bircher muesli with crunchy green apple slithers to start. Fresh tropical fruit were a feast for the eyes, and I had my first taste of dragon fruit (akin to a white flesh kiwi) and rambutan (a red, spiky, anemone looking fruit, with a centre resembling a litchi). I moved on to the Thai noodle bar, where I had rice noodles swimming in a light broth and topped with fresh greens and crunchy garlic. 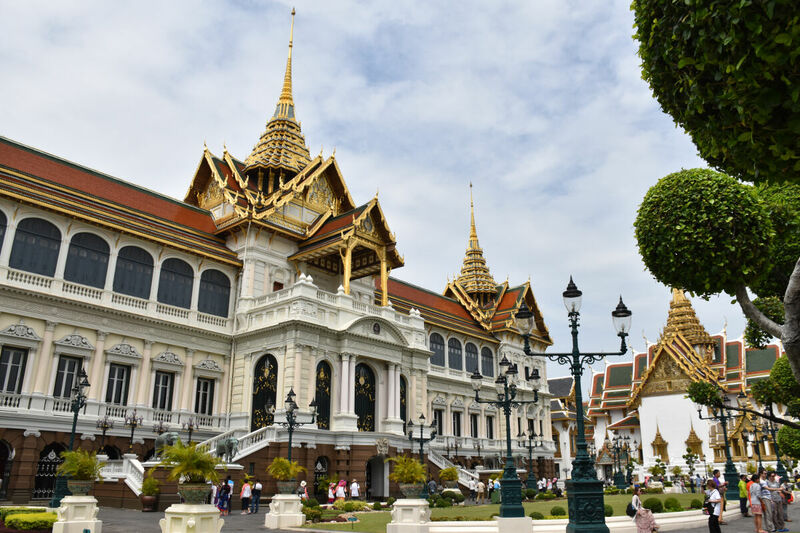 Head to Bangkok’s prime attraction, the Grand Palace. Get there early to beat the heat, which will become less bearable when you are surrounded by busloads of tour groups. You could easily spend half a day, if not more, wandering around the complex grounds. 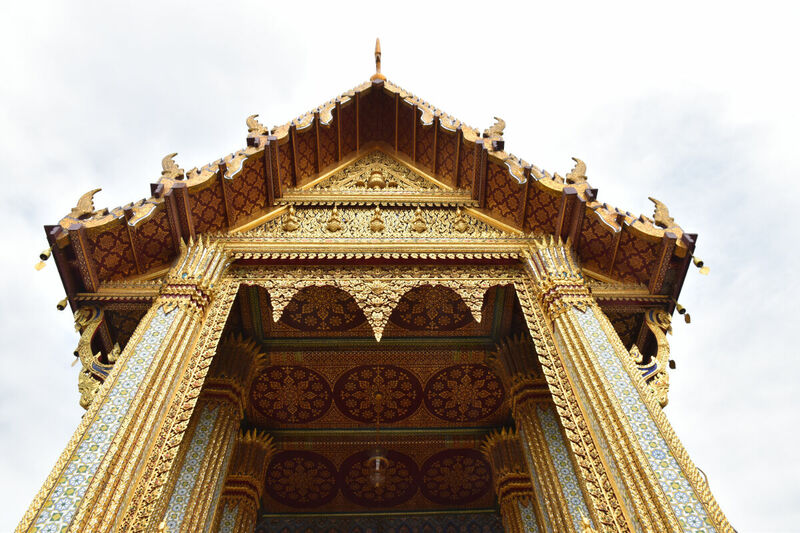 Graceful Thai architecture is made more glorious by the dazzling sheens of gold that adorn the palaces and temples. Some of the structures are only visible from the outside, but are stunning nonetheless. 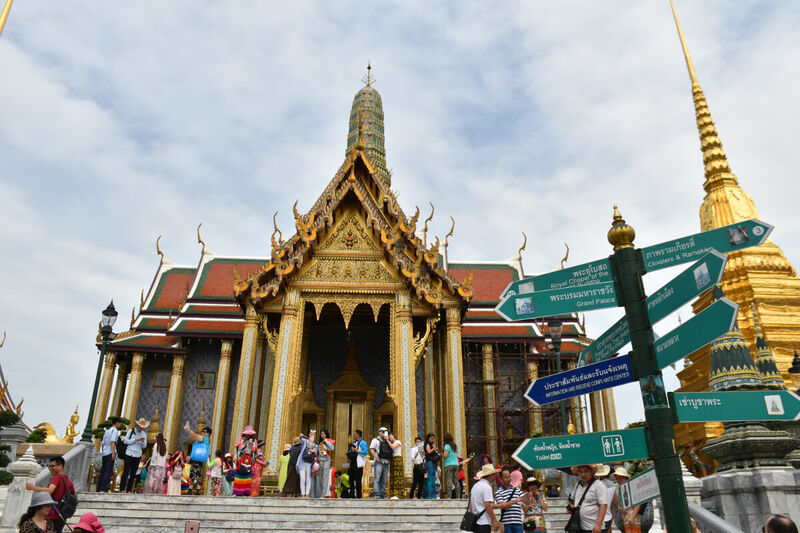 For many, a highlight is a statue of an emerald Buddha. 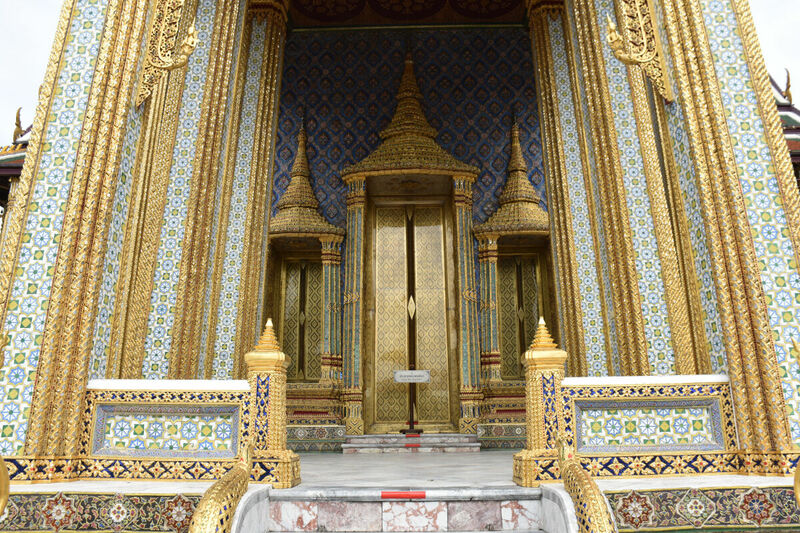 Sadly, there’s no calm in that sanctuary as tourists jostle to take a peek. 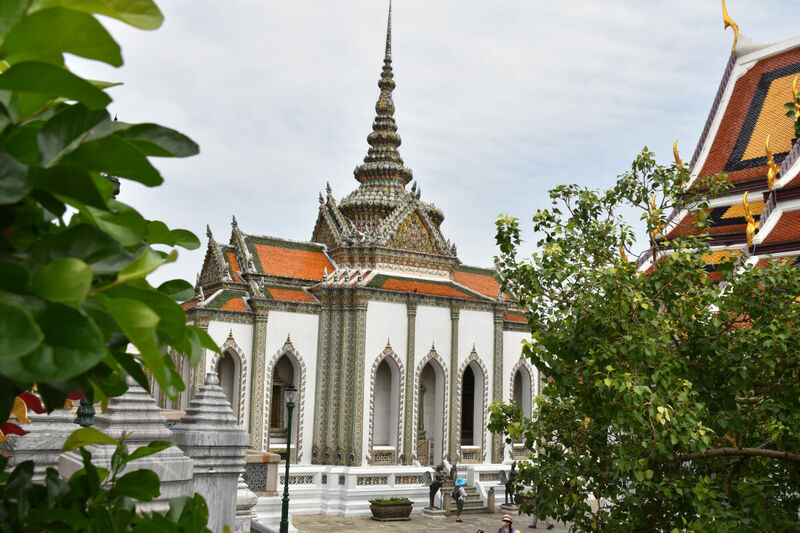 There’s also a museum on the complex, which has exquisite pieces from the palace household, timber relics from old buildings, as well as model replicas of the palace complex over the years. Midday: Stroll around outside the palace and head towards the pier. Vendors sell tempting mango and other tropical fruit, cut and ready to eat. 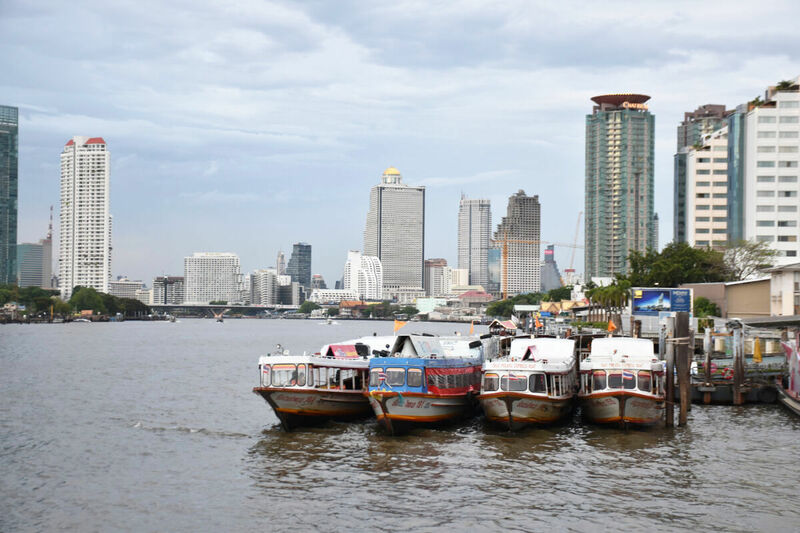 Take the public longboat ferry to Sathorn (Taksin) pier. 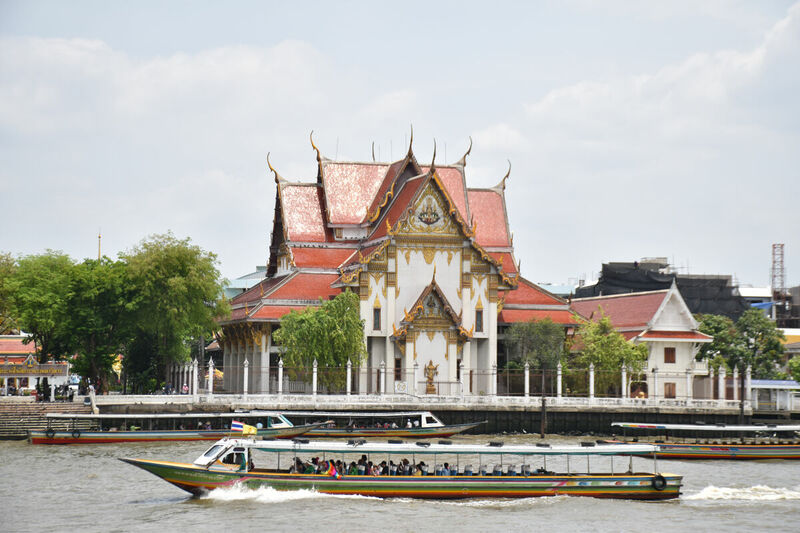 Give up your seat to one of the locals and stand along the rails to see Bangkok from the Chao Phraya River. Alongside the pier is the Shangri La hotel, opposite which is an unassuming warehouse that’s been converted into a food court. The setup is simple, the food cheap, but flavourful and delicious. Outside, there’s a juice cart, whizzing up refreshing concoctions. 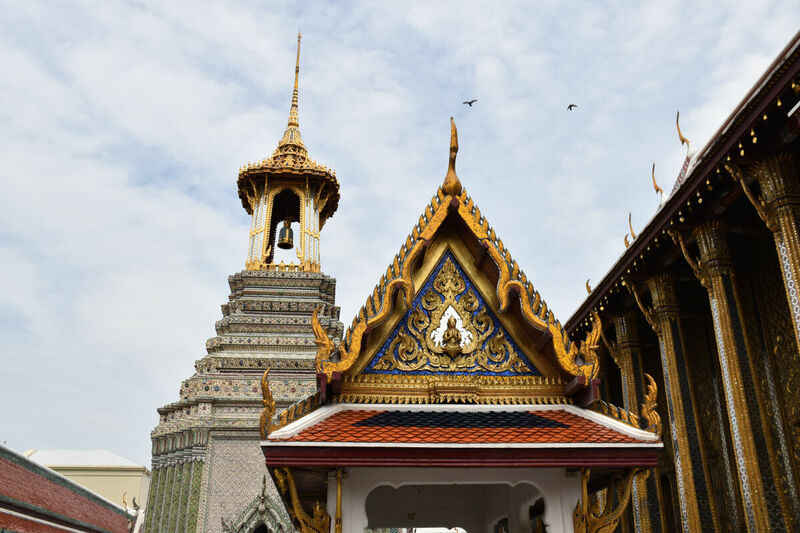 Make your way through the backstreets of Bangkok to your hotel for an afternoon siesta and refreshing swim. 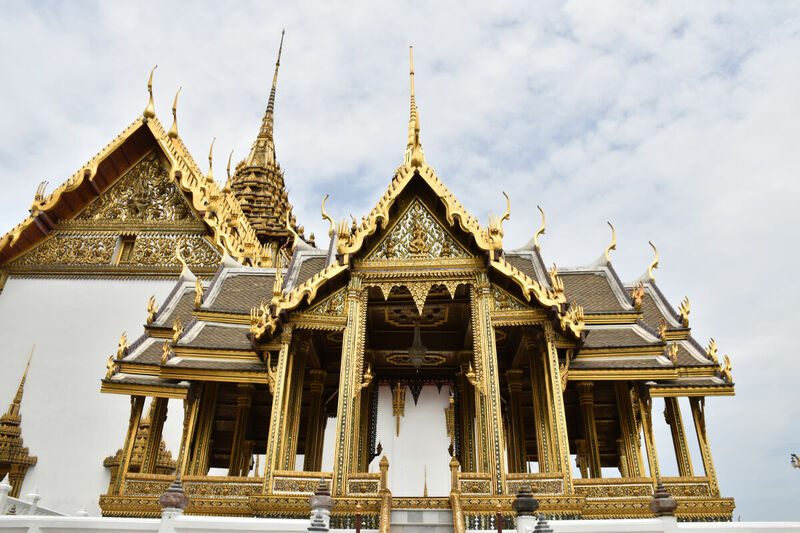 Late afternoon to evening: Catch the rapid train to Silom, to stroll around one of the mega malls, if not to shop, then to see the modern, style hungry world of Bangkok. 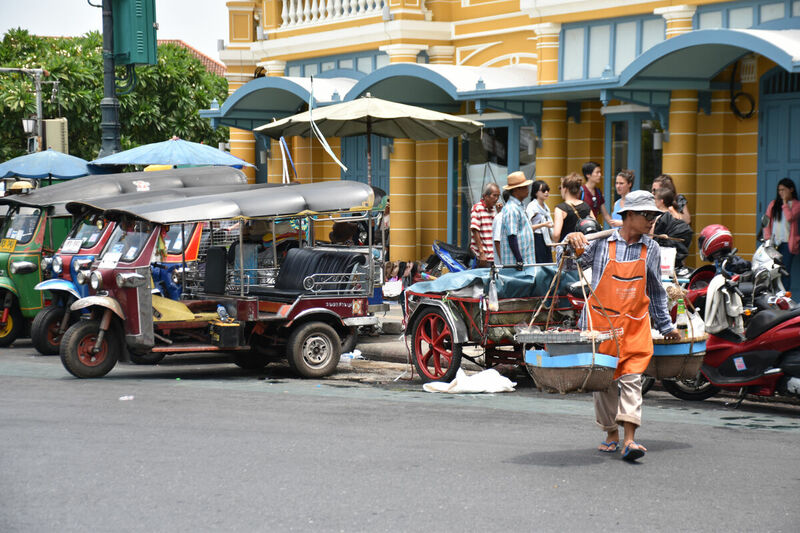 Ditch the glitzy mall and walk to one of the many night markets that spring up each evening, selling knock off goods to souvenirs. Evening: After dinner, head to one of the roof top venues for a panoramic view of Bangkok’s skyline by night. 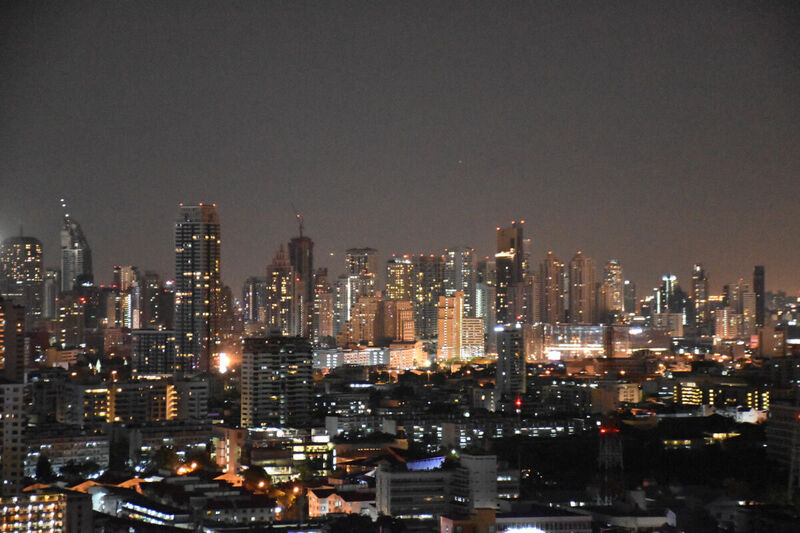 The hotel that we stayed at had a viewing deck with a stunning view of Thailand’s largest city.